We invite you to join our fast-growing network of Ipsun Solar Energy Ambassadors. Becoming an Ipsun Solar Energy Ambassador means actively helping grow the distributed, customer-sited solar energy movement. 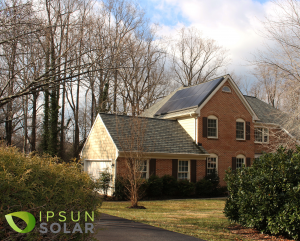 If your experience going solar with us was positive, why shouldn’t others get some encouragement to get the same great solar energy investment and the same stellar service from the team at Ipsun Solar? By helping people around you such as family, friends, neighbors, your school, or your church go solar, you will help them make the transition to using clean energy from the sun. Solar can fuel our homes, our cars, and our lives. Spread the word, and you’ll receive $250 when each person goes solar. Would you rather your bonus benefits an organization you care about? At your request we can donate your referral gift to the non profit or charity of your choice. The more people you connect to your solar installer, the better our planet will become, and the more money you will earn. It’s easy to nominate churches, friends, and local small businesses for a solar project. Once you sign up, you will have access to marketing materials like info sheets and brochures. Then it’s up to you to share info with others who’ll be interested to learn more about how solar could work for them. Watch your environmental impact grow with each new property that gets solar. Submit a referral using this form, and review this handy guide to our referral process, including some tips on bringing up the concept of solar energy with friends. * Unfortunately a referral bonus is not allowed at this time in Maryland due to state law. Refresh yourself on the benefits and the process for going solar by reviewing our Guide to Going Solar. Post a review of Ipsun Solar on any of these websites and help other new solar customers find us!